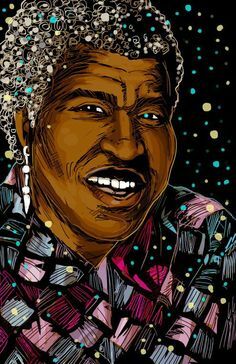 Conversations about Afrofuturist and science fiction feminist writers always acknowledge the revolutionary significance Octavia E. Butler’s fictional writing. Even in the early 21st century, the science fiction (sf) genre is described as being mostly white, male and heteronormative – although the actual histories of fans and creators might disagree. When she began writing in the 1970s, Butler was spurred into writing, not out of a belief in her own genius (although she was the first sf writer to receive a MacArthur Foundation “genius grant”) – she faced challenges ranging from paying the bills to dyslexia – but from a realization that much less talented white male sf writers didn’t need to think twice about starting. Butler’s writings connect the past with imagined futures, integrating sf, vampire and fantasy elements such as aliens, vampires, time travel, and dystopias, with thoughtful considerations of race, gender, sexuality, spirituality, non-Western mythologies, colonialism and power dynamics. Defying the presumptions of mass market book publishers, her books became bestsellers, fueled by fans who were inspired by these visions of the future presented from marginal, female and African American perspectives. More recent generations of fans include teachers and scholars who have placed her work in college syllabi and in canonical collections of feminist, African American, American, postmodern and science fiction. She published twelve novels and one short story collection in a provocative, influential body of work that doesn’t sit easily within any categories. Refusing the predictable, easier path of creating easily marketable work with morally uncomplicated heroes, Butler’s aims for her writing project were larger: to show how human life is full of complexities informed by contradictory histories, disease, reproductive trauma, hybridity, the alien other, and the mythologizing and destructive power of teaching and language. Butler believed that sf had the power to inspire change in the real world – technological, social and political change. Listen: “Octavia City” from Black Tribbles (podcast). Butler’s Patternist, Xenogenesis and the Parable sf series unsentimentally present aliens and humans, prompting readers to reconsider deeply held notions of race, gender, sexuality, and the politics that entwines them. Kindred can be read as a sf slave narrative, where a modern African American woman is forced to continually return to the past and escape to the present, confronting personal and political traumas.